Laura Tonks (right) with brothers at time of adoption. Growing up in a large family in Flushing, Michigan, American life was all that Laura Tonks ever knew. That is, until a chance encounter with her Korean birth mom forty-three years after she was given up for adoption changed everything. At the tender age of seven, Laura and her two younger brothers boarded a plane to America, where a new family and life awaited them. Laura’s biological father had died of Typhoid fever, and her juvenile understanding of the situation led her to believe that her mother gave the children up because she could no longer care for them on her own. It wasn’t until June 2015 when Laura’s brother Brian traveled to South Korea on a whim that the entire narrative of her adoption began to transform. 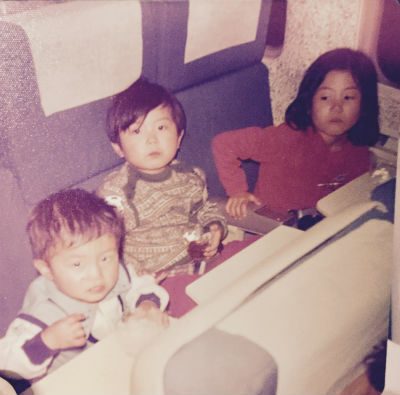 Through an organization called “Me & Korea” that works to reacquaint groups of adopted Koreans with their homeland and reconnect estranged or lost family members, Brian discovered something that would rock him and his siblings to their core. Not only was their birth mother still alive, but she had also never willingly given her children up for adoption to begin with. Brian figured out that it had, in fact, been their uncle who dropped the kids off at a women’s shelter while his sister was out looking for work. Meanwhile, Laura’s daughter, Samantha, curious to learn more about her heritage, had decided to study abroad in South Korea. Laura had already made plans to visit Samantha and could no longer avoid meeting her mother, despite her initial hesitancy. 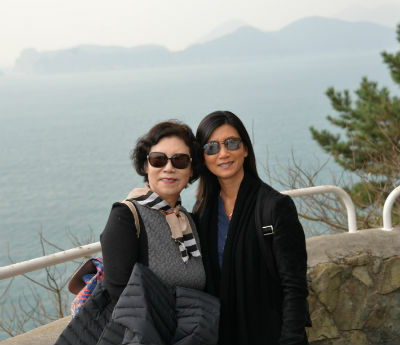 Laura (right) reunited with her mother in South Korea. In November 2016, Laura Tonks boarded another plane, this one destined back to Seoul, South Korea. When the big moment finally came, Laura was relieved to finally meet her birth mom, who she began calling Omma. In spite of the nervous anticipation that both women felt, Omma embraced her daughter immediately, blessing her with a tearful welcome, forty-three years in the making. Laura with her uncle in South Korea. Laura also believes that God has divine intentions in reuniting her with Omma so many years later. “Perhaps God is doing a work in Omma,” Laura says. 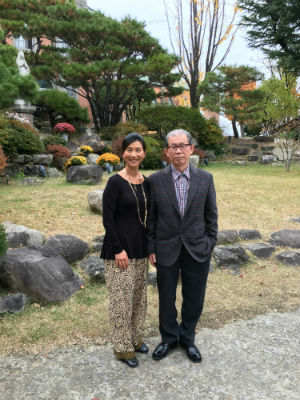 “I do sense that I am supposed to reach out to her to show her the love of Christ.” After losing her children, Omma became a Buddhist and spent the next forty-three years crying and praying to Buddha, asking that they would come looking for her. Laura Tonks served for four years as the children’s director at Clarkston Community Church of God in Clarkston, Michigan. She concluded her extended season of faithful service to the church on July 1 in order to follow God’s call to return to work as a domestic engineer. She also desires to focus more of her time and energy on her family, especially her youngest son as he enters high school this year. This entry was posted in All Church of God, Great Lakes and tagged adopted, Adoption, ancestry, answers, Clarkston, Clarkston Community Church, faces of the movement, Laura Tonks, MI, Michigan, mother, parents, quest, search, South Korea, testimony. Bookmark the permalink.